Now that Krišjānis Kariņš has been confirmed as the Latvian Republic's 23rd prime minister, the premiership of Māris Kučinskis is in the books (at least for now). While it might seem like his just less than two-year term had only just begun, he ends his time in office as the 6th longest-serving "minister president" in Latvian history, and was just days away from overtaking #5. According to our calculations back in April, the average Latvian cabinet has lasted just 16 months since 1990. With tensions simmering between parties in Kariņš' cabinet from well before the coalition was even announced, few political scientists are predicting this new government as one built to last. Will we be back to the negotiation table (or even the ballot box) before long? Before we get too pessimistic, let's take a look at the five heads of government who were able to buck the trend and last a bit longer than the average. In short: The fact that Aigars Kalvītis was able to make it onto this longevity short-list likely says much more about the 17 leaders who failed to do so rather than anything special that this prime minister did. 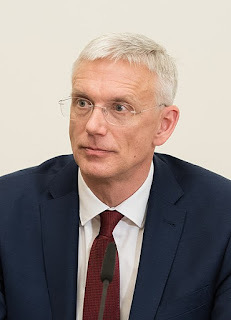 Before becoming premier: Kalvītis was born in Rīga in 1966, graduating from 44. vidusskola (Secondary School #44) in 1984 and Latvijas Lauksaimniecības universitāte (Latvia University of Agriculture, now known as Latvia University of Life Science and Technology in English) in 1992. He also studied for some time in Cork, Ireland, and at the University of Wisconsin in the USA. After working throughout the 1990s in the agricultural business sector, Kalvītis became one of the founders of the conservative Tautas partija (The People's Party) in 1997 and was elected to parliament in 1998. He quickly rose through the political ranks, serving first as Prime Minister Andris Šķēle's economic minister from 1999-2000 and then economic minister in Andris Bērziņš' cabinet from 2000-2002. As premier: Kalvītis took over as prime minister at a less-than-stable time in Latvian politics, becoming the third premier to serve in the year 2004. His government was formed after the collapse of Indulis Emsis' coalition which had lasted less than eight months due to a dispute over the budget for 2005 in which Tautas partija rejected Emsis' budget and effectively voted against confidence in the premier. After a month of negotiations, Kalvītis was confirmed in December 2004, and served for nearly two more years before beating the odds to become the first ever sitting prime minister of Latvia to be elected to a second term in October 2006. Not only that, he had the highest amount of "plusses" on the ballots of any candidate in the election, a nearly unheard of achievement for a politician in the country. With everything going as well as it ever had for a Latvian head of government, Kalvītis dramatically proclaimed himself "the guarantor of stability." Unfortunately for the prime minister, stability has never been an easy thing to guarantee in Latvian politics. The afterglow from the election victory had worn off by summer of 2007 when inflation rates unexpectedly hit 9.7%, the highest since 1999. Widespread public opinion held that Kalvītis' government wasn't doing enough to contain the high inflation as it continued into the autumn, leading to growing dissatisfaction. Far more damaging to Kalvītis' credibility, however, was the abrupt September dismissal of anti-corruption bureau (KNAB) director Aleksejs Loskutovs. Although Kalvītis claimed that Loskutovs was fired over accounting regulations in the bureau, international press such as the New York Times was quick to point out that the dismissal came just before Loskutovs was due to report on campaign finance violations by Kalvītis' coalition partners. The timing also wasn't lost on the increasingly frustrated people of Latvia, with Kalvitis becoming the #1 result for the search term "cūka" (the Latvian word for "pig") on Google. After protests throughout the autumn including the peaceful October 17th march that became known as the "Umbrella Revolution," a vote of no confidence was finally held on October 23rd. Though Kalvītis survived in a 53-36 vote, he resigned just two weeks later. At the time he was praised by then President Valdis Zatlers for having passed surplus budgets and securing a border deal with Russia (in a friendlier time before the invasions of Georgia and Ukraine), and criticized for mishandling inflation and the firing of Loskutovs. Afterwards: Kalvītis went back to serving in Saeima for another year and a half before resigning from his mandate as a deputy in March 2009. A major hockey fan, he served as chairman of the Dinamo Rīga hockey team from 2010 to 2015 (of which he is a nearly 10% stakeholder in) and became chair of the Latvian Hockey Association in 2016. He has also served as the chairman and CEO of the Latvijas Gāze natural gas company since 2015, the 12th most valuable Latvia company in 2018. Otto's fun fact: Kalvītis took ownership of the "cūka" nickname, and in 2005 took part in the country's yearly "lielā talka" (big cleanup) together with the Cūkmens (Pigman) superhero character created by the state's forestry service. In short: This co-founder of Latvijas zemnieku savienība (Latvian Farmer's Union, the historical predecessor of the same faction that exists as part of ZZS today) and veteran of the Russo-Japanese War, World War I, and War of Independence unfortunately doesn't get the same recognition as the country's other "founding fathers." Before becoming premier: Celmiņš was born in 1877 and grew up in the region of Lubāna in the country's northeast region. After earning a degree in agriculture at Rīgas Politehniskais institūts (Rīga Politechnical Institute, the predecessor of the modern Rīgas Tehniskā universitāte), he fought for a year in the Russo-Japanese War and then worked as an agronomist and became the editor of the Baltijas Lauksaimnieks (Baltic Farmer) newspaper throughout the early 1900s. While serving as a government agricultural specialist, he published a number of books and continued studying agriculture throughout Europe. The Russian army called him back into service for World War I in 1914 where he fought until being captured in 1915 and released in 1918. Upon returning to Latvia, he continued his academic work and went back to teaching until the War of Independence broke out. He joined the Southern Latvian Brigade, and was part of the famous force that defended Rīga on November 11, 1919, which is now commemorated each year as Lāčplēša diena. For his actions during the war he earned the rank of captain and was awarded the prestigious Order of Lāčplēsis. After the war, he helped found the Latvijas zemnieku savienība party which dominated Latvian politics throughout the republic's early history. A member of parliament, he briefly served as minister of education in Zigfrīds Anna Meierovics' third cabinet from 1923-24, and two terms as minister of agriculture under Ulmanis and Zāmuēls. As prime minister: Celmiņš was first invited to form a government by President Jānis Čakste in December 1924, the ninth cabinet in six years and a minority one supported by just 49 votes in Saeima. His government's policy program was quite short, but emphasized national security, a commitment to democracy (in the face of a communist coup attempt in Tallinn just days before), and balanced state budgets. Many of his first government's actions had to do with land and agriculture, including the controversial nationalization of land held by wealthy landowners and churches that was contested at the League of Nations (a spiritual predecessor to the modern United Nations) and ruled in favor of Celmiņš government. After the election of the second Saeima in October 1925, Celmiņš resigned from his post and went back to serving in parliament. Following the third Saeima's election in 1928, he was once again asked to form a government by President Gustavs Zemgals. This largest-ever eight-party coalition was confirmed by 54 deputies this time around. Plans by Celmiņš to increase Latvia's export ability were dashed by the Great Depression at the beginning of the 1930s, and the government was unable to take significant action against the trade deficit. As closer cooperation between the Baltic nations was a priority, Celmiņš made visits to both Estonia and Lithuania during his second term, and also led the Latvian delegation to the League of Nations. Celmiņš' downfall as prime minister came when a parliamentary faction led by Jezups Trasuns that represented the interests of the eastern region of Latgale joined the opposition, delivering the killing blow to the second and final Celmiņš cabinet which had survived a record 2 years and 4 months, the longest lasting government by a large margin in the young republic's history. Although he never called himself anything of the sort, this alone likely gives Celmiņš a stronger claim to "the guarantor of stability" title than Kalvītis ever had. Afterwards: A few months later, Celmiņš became mayor of Rīga and continued serving until 1935 in which he chose to leave his job (and politics altogether) in the midst of Karlis Ulmanis' authoritarian coup. He served as an ambassador to Germany, Austria, and the Netherlands in the late 1930s before retiring from public service completely in 1938. After the Soviets began their illegal occupation, he was arrested in 1940 by Soviet authorities in the rural region of Taurene and brought to Moscow, where he was executed in 1941 for "counter-revolutionary" activity. Although he doesn't get quite the same recognition as fellow founding fathers Ulmanis or Čakste, Celmiņš can be remembered as an unwavering supporter of an independent and democratic Latvia even in the face of certain death. Otto's fun fact: Despite his lack of recognition today, it was the jealousy that the next leader on this list felt about Celmiņš' popularity the led him to being made ambassador and sent out of the country in the late 1930s. In short: Those of you who are even the slightest bit familiar with Latvian history have probably heard at least something about Kārlis Ulmanis, a figure who dominates history books the same way Franklin Roosevelt does in the USA or Mao Zedong does in China thanks mainly due to his controversial authoritarian government takeover in 1934 — however, his career as the democratically elected prime minister is just as, if not more, important to the country's history. Before becoming premier: Ulmanis was born in 1877 (the same year as Celiņš) less than 20 kilometers west of Jelgava in the small town of Bērze. Thanks to his family's wealth, he was able to study agriculture first in Zurich, Switzerland and then Leipzip, Germany. While working as an academic back in Latvia, Ulmanis first became politically active in the failed 1905 Russian revolution which led to his imprisonment in Pskov, Russia. Upon regaining his freedom, he left to exile first in Germany and then the United States, during which time he studied for a Bachelor of Science in agriculture at the University of Nebraska-Lincoln and then became owner of a dairy business in Houston, Texas. The fluency in English he gained during this time would come in handy later during his time as Latvia's leader. Thanks to Czar Nicholas II's amnesty for political exiles, Ulmanis was able to return to Latvia in 1913 and continue his work as an agronomist. 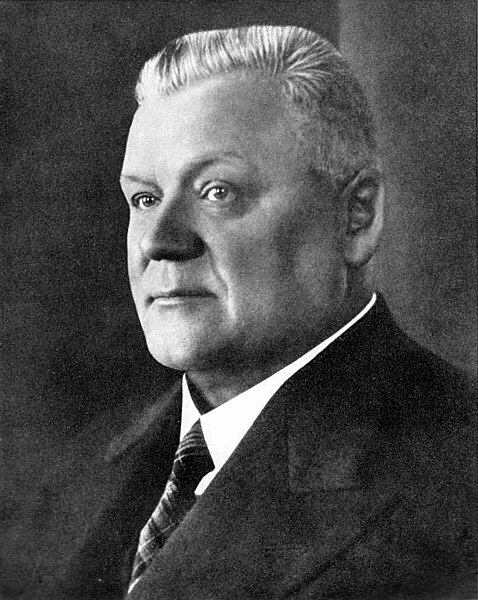 His political career began in earnest after the 1917 Russian revolution, becoming elected as the governor of the Vidzeme region (in Latvia's north) and helping to found the aforementioned Latvijas zemnieku savienība. The party was the largest of eight factions in Latvijas Tautas padome (People's Council of Latvia) that was founded on the 17th of November, 1919, just a day before the Latvian Republic was proclaimed. That same day, the council members selected Ulmanis to become the very first prime minister of the nearly born county. As prime minister: Ulmanis promised the politically diverse council that his singular goal as the provisional head of government was a self-sufficient and independent Latvian state. His first duty was to officially proclaim the new republic the next day at what is now known as the national theater in Rīga, a legendary event which is celebrated as a state holiday each year. A few days later he formed the country's very first cabinet, which included future two-time Prime Minister Zigfrīds Anna Meierovics as foreign minister, Miķelis Valters as minister of the interior and Pēteris Juraševskis as finance minister. They almost immediately had to leave Rīga and continue their work in the western city of Liepāja, as a Red Army-backed Latvian Socialist Soviet Republic was established less than a month later and quickly took over most of the new country's territory. When things were at their most dire, a Baltic German-backed coup forced Ulmanis' government to flee into the city's harbor and conduct business from a steamboat. Luckily, Ulmanis was able to make good use of his English language skills and helped secure supplies, weapons, and support from friendly European nations such as Estonia and the UK. The war had been won by the Latvian forces by August 1920, allowing the prime minister to now focus on the task of writing a permanent constitution. He stepped aside for fellow party member Zigfrīds Anna Meierovics to take over the position the following June, but he was back as premier in 1925 shortly after losing out on the presidency to the incumbent Jānis Čakste. This second stint was cut short due to disagreements in parliament over a budget in May 1926, and a third term in 1931 served as little more than a palette cleanser between the fall of Hugo Calmiņš' second government in March and the election of the third Saeima that October. Both that election and the one after saw a jaw-dropping 27 different parties get elected to parliament, only ten of which controlled three or more seats. When Ulmanis took over as prime minister once again following a March 1934 vote of no confidence against Ādolfs Bļodnieks orchestrated by Latvijas zemnieku savienība, the perception of political dysfunction stemming from having so many parties in Saeima was used as one of the major justifications for suspending the very constitution that he had helped to create just a decade before. Afterwards: Although he retained the official title of "prime minister" after his authoritarian coup supported by the army and police on May 15th, 1934, Otto and I have not chosen to count the years between 1934 and 1940 towards Ulmanis' total days in office as the role he was actually serving in was as a military-backed dictator and not a head of government who answered to a legislature. Due to the outlawing of all political parties (including his own Latvijas zemnieku savienība) and the singular influence that he had on all state policy, this is the period that for better or worse defines his historical legacy. Supporters point out increased literacy rates and a booming economy compared to the rest of depression-suffering Europe, while critics argue that these accomplishments weren't worth the price of democracy or civil liberties. The most controversial aspect of his reign regards his handling of the gradual Soviet annexation which began in 1939. While many argue that his strategy of non-resistance was the wisest course of action in order to save as many citizens' lives as possible, the veneer of credibility that his cooperation lent to the process is used today by the Russian government to support their position that the occupation of Latvia was perfectly legal. Regardless, statues of him can be found throughout the country, and the major highway through the western half of Rīga has been named after him since the re-establishment of independence in 1991. Although he never might not have predicted it upon his death in a Turkmen prison in 1942, his legacy is secure today in the free and independent Latvia that he helped to create. Otto's fun fact: Ulmanis stayed a bachelor throughout his life, saying that he was married to the Latvian state. 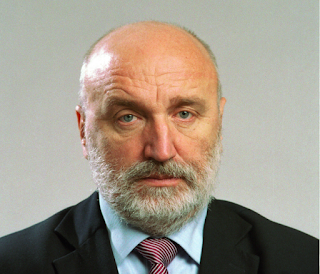 In short: Though historians will likely remember Ivars Godmanis for steadily leading the government during turbulent times following the re-establishment of independence from the Soviet Union, his modern-day image has been tarnished due to his briefer, more controversial second tenure at the beginning of the worst economic crisis since the 1990s. Before becoming premier: Godmanis was born in Rīga in 1951, the son of a professor of agricultural science. Instead of following in his father's (and many of the early republic's leader's footsteps), Godmanis chose to study physics and graduated from Latvian State University (now known as University of Latvia) in 1974 and defended his doctoral studies in 1983. He worked as a teacher at Rīgas 1. vidusskola (now Rīgas 1. valsts ģimnāzija) and a welder throughout his time as a student and then as a physics fellow at a university institute from 1984-1988. After joining Latvijas Tautas fronte (Popular Front of Latvia) in 1987 as the Latvian awakening went into full swing, he quickly rose to the top, becoming deputy chairman in 1988 and then the faction leader in the Latvian Supreme Council in 1990 (the parliament that existed until the Saeima was re-established in 1993). On May 4th of that year, Godmanis was one of the 138 deputies who voted in favor of re-establishing independence and transition to a modernized version of Latvia's original 1922 democratic constitution by 1993. As prime minister: Three days after the vote for independence, Godmanis was chosen as "Chairman of the Council of Ministers," a position analogous to prime minister. The newly minted head of government had his work cut out for him, with an increasingly unstable Soviet Union continuing to regard Latvia as a rebellious constituent and a daunting planned transition to capitalism after half a century of a communist state-controlled economy. Soviet military cells moved to regain control of the Baltic capitals in January 1991, leading to the famous barricades events that saw thousands of citizens blocking those attempts by building barriers in the streets. By August, the USSR had essentially accepted Latvia's independence, but the painful economic transition was far from over with the planned Soviet economy having already completely collapsed and chronic shortages all throughout the region. Godmanis' government introduced the temporary "Latvian rublis" in 1992 as an attempt to take control of the country's monetary situation and decrease dependence on the Russian central bank, with Latvia's historic "Lats" currency being reintroduced in March 1993. Although these measures stabilized what had been runaway inflation, the overall economic situation continued to worsen with the industrial sector faring the "shock therapy" transition to capitalism poorly and many Soviet-era factories going bankrupt throughout Godmanis' term. A series of privatization laws passed throughout 1991 and 1992 proved difficult to implement due to the unstable economic and political situation throughout the country as well as a desire to honor the claims to property that the descendants of residents, and full privatization was complete only into the next decade. Despite these complexity of these many challenges, Godmanis' government was able to ride out the storm, and by 1993 the goal of a return to Latvia's original democratic government system had been accomplished. When the fifth Saeima elections took place in June 1993, Godmanis chose not to join one of the newly formed political parties, and stepped out of the spotlight once Tautas fronte wasn't elected back into Saeima. After a few years in the private sector, he returned to politics as a member of the Latvijas ceļš (Latvian Way), serving as Vilis Krištopans' finance minister from November 1998 to July 1999 and then continuing as a deputy in Saeima. By 2004 he had been elected the party's chair, and served as co-chair with oligarch Ainārs Šlersers once the party merged with Šlesers' Latvijas Pirmā partija (Latvia's First Party). 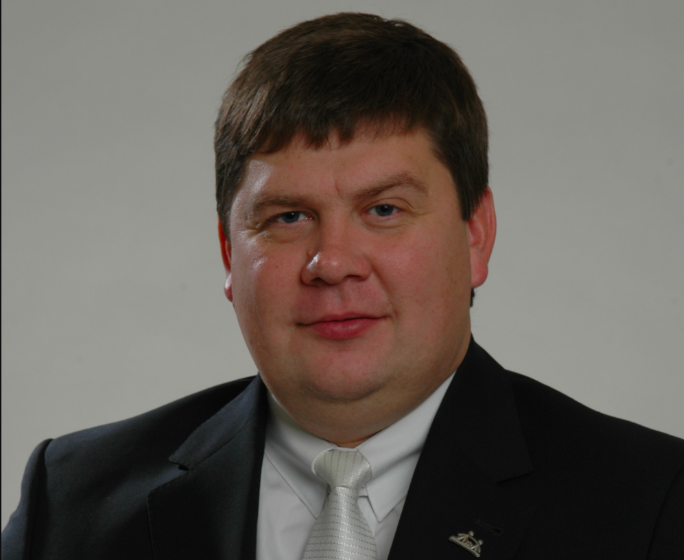 When Aigars Kalvītis' government collapsed in 2007 following the previously mentioned firing of KNAB director Aleksejs Loskutovs, Godmanis was already serving as minister of the interior and well-positioned to take back the prime ministership. Upon his new government's confirmation in December 2007, it wasn't difficult for political analysts to predict that the cabinet wouldn't last long, especially with just 54 votes in parliament. The Latvian public had grown increasingly disenchanted with politicians over the two and a half decades of independence, so by the time the long-predicted economic crisis hit in 2008 (due in part to "economic overheating" that took place throughout Kalvītis' tenure), there was far less patience for Godmanis' government than there had been in the early 1990s. The GDP decreased by a shocking 10% in the last quarter of 2008, and things only got worse when the infamous Parex Bank was nationalized on November 8, 2008 and unemployment reached 22.8% in December. A series of public relations catastrophes eroded remaining confidence in the government. including a December 2008 interview by Finance Minister Artis Slakteris in broken English that became widely parodied and a New Year's Eve address by Godmanis himself that suggested that Latvians "huddle together like penguins" in order to get through the difficult times. By January 2009 people had had enough, and a peaceful protest of more than 10,000 people turned into a riot on the 13th. A few days before Latvian bonds were lowered to a BB+ rating by Standard and Poor, Godmanis finally called it quits. Afterwards: After returning to work in Saeima as a deputy for a few months, he was elected to European parliament in June 2009 and served until 2014. 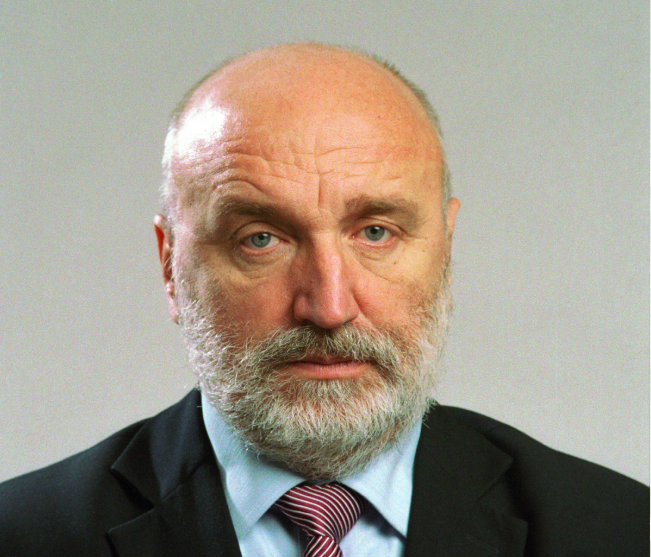 He didn't run for re-election in 2014 after Zaļo un Zemnieku savienība (Union of Farmers and Greens) refused to let him into the party, and instead retired from politics altogether. He was chosen to become chairman of the board for pharmaceutical company Olainfarm in 2014 and served until he was replaced in 2016. Although his name was one of many found in the recently opened KGB archives, Godmanis had his name cleared by a court investigation that seemingly lost the corresponding material. Otto's fun fact: Godmanis is a lifelong drummer and expert on rock music, having hosted a weekly show on Radio SWH during the 2000s and drumming onstage with Queen + Paul Taylor while he was still prime minister. In short: Although his legacy-defining austerity package remains controversial, Valdis Dombrovskis' longevity is particularly remarkable considering he guided the country through the worst economic crisis since the end of Soviet times and only left his post well into the recovery period. 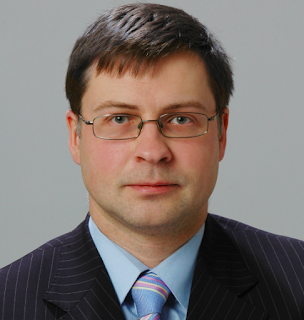 Before becoming premier: Dombrovskis was born in Rīga in 1971, graduating from Rīgas 58. vidusskola (now Iļģuciema vidusskola) in 1989. Like Godmanis, he studied for a Bachelor of Science in physics and graduated in 1993 from University of Latvia, but also finished a degree in economics at Rīga Technical University in 1995. He studied for part of his master's degree at Johannes Gutenberg University of Mainz from 1995-96 and then did doctoral studies in electrical engineering at the University of Maryland from 1997-98. He started work at the Bank of Latvia as a macroeconomics specialist in 1998, becoming the chief economist for monetary policy by 2000. His work in politics began in 2002 when he became one of the founders of the Jaunais laiks (New Era), and was not only elected into Saeima but became finance minister under his former Bank of Latvia boss Prime Minister Einars Repše. He served that post until the government's fall in 2004 due to objections by coalition partners to Repše's leadership style, returning to Saeima and then becoming a deputy in European Parliament. Although the 37-year-old's candidacy for prime minister was passed over in favor of the more experienced Godmanis when Kalvītis' government fell in 2007, Dombrovskis would get his chance less than two years later when both Godmanis' government and the economy were in full meltdown. As prime minister: Few would have believed when he took the reigns of government in March 2009 at the height of independent Latvia's worst economic crisis that this mild mannered technocrat would somehow become Latvia's longest-serving "minister president." In order to get the country back on track, Dombrovskis chose not to devalue the lats currency which had already been pegged to the Euro's value (anticipating the adoption of the single currency) and instead opted for one of the toughest austerity programs Europe had seen, a choice that would define his time in office. He brought his caustic former boss Repše onboard as Finance Minister, who claims he was more than happy to play the "bad guy" and take the heat for brutal reforms such as mass government layoffs and deep cuts to public spending, including the salaries of public workers. The economy began growing again by the end of 2010, and by 2012 it was Europe's fastest growing. There are two competing narratives about Dombrovskis' handling of the financial crisis. Supporters of the austerity measures taken point to the impressive economic growth numbers after just a few months of the measures, allowing the country to join the single-currency Eurozone by January 2014 without the kind of inflation Estonia experienced thanks in part to the government's "Godīgs Eiro ieviesējs" (honest Euro introduction) program that fought against dishonest price increases. The economic and financial reforms took place without the rioting or even mass protests seen elsewhere in Europe when austerity has been considered, and Dombrovskis even retained his job after elections in 2010 and 2011. Although the layoffs and salary cuts were deeply painful to those affected, the government directed EU grant funding towards a "social safety net" including unemployment benefits to help groups who were most badly affected by the crisis and the austerity measures. It's no wonder that Latvia has often been called the "poster child for austerity," as the country's example has been used countless times in arguments for countries like Greece or Italy to accept similar measures. On the other hand, critics argue that the austerity measures accelerated the flight of people from Latvia to western Europe and other stronger economies, with the country's population having decreased by around 12% since the beginning of the crisis partially due to Latvia's economic conditions. Although the growth following the crisis might have looked impressive, the GDP only returned to its pre-crisis levels last year, more than eight years after the austerity program began. The adoption of the Euro was controversial, with polling showing that a majority of residents opposed the measure and the government refusing to hold a referendum on the matter. Furthermore, it has been argued that the lack of mass protests had more to do with the weakness of Latvian trade unions than public contentment with the massive spending cuts. The biggest political drama during Dombrovskis' tenure ended up being completely unrelated to the crisis, coming just months after the 2010 election that saw him re-elected to head a new coalition of Vienotība (which had been formed from the remains of Jaunais laiks, Pilsoniskā savienība, and Sabiedrība Citai Politikai) and Zaļo un Zemnieku savienība. When Saeima refused to allow police to search then deputy Ainars Šlesers' house, President Valdis Zatlers took the extraordinary step of holding a referendum to dissolve parliament, a measure that passed with 94.3% of the vote in July 2011. Although Vienotība lost 13 of its 35 seats in the subsequent election that September, Dombrovskis was able to hang onto his position by entering into coalition with the newly formed Reformu partija (Reform Party) and Nacionāla apvienība (National Alliance) and continued his economic policy program. His government's eventual downfall also had little to do with the economic crisis; Dombrovskis took political responsibility for the November 2013 Maxima supermarket collapse in Rīga's neighborhood of Zolitūde, resigning a few days later despite saying that President Andris Bērziņš had not pressured him to do so. Afterwards: Like Godmanis before him, he was elected back to European Parliament in spring of 2014 just months after his resignation. However, he was able to find far more success in European politics than his predecessor had; by October, he had been chosen as the European Commission's Vice-President for Euro and Social Dialogue, one of the highest ranking officials in the entire European Union. Although his term is set to expire this year with new European elections at hand and a wave of populism predicted to upend the status quo in Brussels and Strasbourg, it's hard to imagine that the 47-year-old Dombrovskis is ready to disappear from politics into the sunset just yet. Otto's fun fact: Dombrovskis earned the nickname "Lāčuks"("little bear") from his colleagues due to his calm demeanor and amiable appearance. Achieving either first or second place would almost certainly require winning the next election which will probably be held in October 2022 (if an extraordinary one is not called earlier), which would be a historic first as no prime minister has ever been re-elected after serving a full four-year term. Although stability will be difficult to guarantee in today's fractured political landscape, the only thing that's predictable about Latvian politics is unpredictability. For more special posts about major important topics like these as well as news updates each week, make sure to press "subscribe" at the top of this page or to "like" us on Facebook!